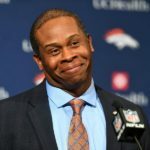 It's been a whirlwind few days for newly-minted Broncos coach Vance Joseph. Still, he was able to find time to stop by Mile High Sports Radio on Thursday. The Broncos have taken on two solid opponents in 2016 and won both times. It's time for the rest of the NFL to begin taking the Broncos seriously again. 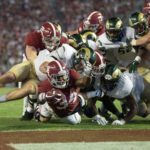 The Rams recover from their loss to Alabama and use their bye week to prepare for Mountain West conference play. Expect the Denver Broncos to begin playing their best football of the season during this extremely difficult four-game stretch to end the season.